If you liked our work or an answer you have received then consider making a donation for this service. Our site is funded by public donations and your donation is essential. We have no government grants nor any other major sponsorship support. Our efforts are directed towards making up the large public information deficiency and so are busy adding to the site and answering all queries that arrive. The site has been built through the efforts of highly motivated volunteers. All people associated with the site get their rewards from service. As part of their spirit, the majority of costs needed to run the site are met by the generosity of these volunteers. As the popularity of the site increases, so do our costs and your donation is vital to keep this site alive. Donations mean that we are free to pursue studies that produce authentic and accurate results. The result is that we are free from institutional biases that creep into those bodies who are reliant upon one source of funds. By being independent we are able to tell the story as it is. There are no embellishments or gimmicks which pander to the paying authority. The consequence is a story that truly reflects out history and so let us share a realistic and common heritage, one that allows everyone to join and become part of that story. This is the cement that glues our great country. This is where you can come in. It is your chance to become part of this important work. By donating, you add your support to this growing work. Everyone available can help in their own way. Donating is an important part of the work. Funds help to keep this story alive. Become part and make your donation. It’s easy. You can do it on the net. Just go to your banking site and make a deposit in our special account. Then send us a letter telling us of your generous participation. We acknowledge each donation personally. This ensures the right person gets the credit and you can be sure that your donation arrived safely and will be used in this great work. Thanks for your contribution and becoming part of this great national enterprise to pass on to out future generations an accurate story of our past. This is who we are and these are our values. Helping our soldiers: Citizens' War Chest. The Citizens War Chest Fund, though not one of the largest of the patriotic funds has perhaps the greatest number of contributors. 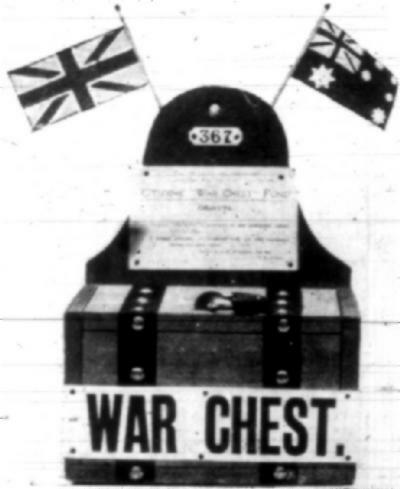 It was started with the idea of collecting the smaller offerings of the wage-earners, and now there are few factories, shops, or offices in New South Wales where the little War Chest is not a familiar sight. Australians have always been a generous people and your donation confirms that belief. Thank you for your support. From all of us at the Australian Light Horse Studies Centre. Because of the complexity, volume and nature of the material, it is a difficult task producing a front end that is simple to use for the visitor. The solution has meant that some simplicity has been sacrificed for accuracy. All that being said, once the logic of the site is understood, it is quite simple to navigate. The sidebar structure is quite simple. The first items relate to the AIF, followed by the Boer War, Battles, General information, Militia, Turkish items and then Weapons. Each item is clearly marked as a heading followed by subheadings which incorporate the heading detail. Example: AIF - 2B - 7 LHR = Australian Imperial Force, 2nd Light Horse Brigade, 7th Light Horse Regiment - which will open with a contents page detailing the items on that particular thread which will include a regimental outline. This particular section details the entire Australian Order Of Battle in the Middle East and includes information upon other national units that played a role with the AIF. So primarily there is a large listing of NZ material as there will be eventually of British material. Included are the Italians, French and British West Indies, to name a few. Example: BW - NSW - NSWCBC = Boer War, New South Wales, NSW Citizens Bushemen's Contingent. This thread deals with many issues relating to the formation and history of the NSW Citizens Bushemen's Contingent including nominal rolls and individual biographies of soldiers. Example: BatzB - Buffels Hoek = Battles, Boer War, Buffels Hoek. This will give a contents page detailing all the items in the thread dealing with the battle at Buffels Hoek in which Australians saw action. There are close to about 130 battles in which Australians participated during the period 1899 - 1920 which included two in Australia itself. These are all recorded and detailed in this section. 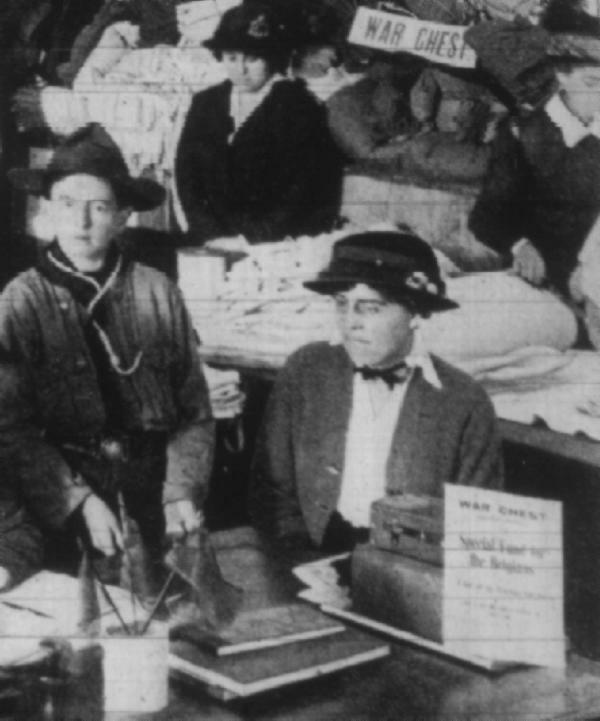 This section deals with the general issues relating to Australia and the Great War. This section deals with items specifically dealing with the German forces in the Middle East during the Great War. Example: Militia - LHN - 3/11/7 = Militia, Light Horse New South Wales, 3rd Australian Light Horse which became the 11th Australian Light Horse which finished as the 7th Australian Light Horse. The sub sub heading is under the subheading "Militia - LHN - NSW" highlighting the fact that this section is now dealing with New South Wales Light Horse Militia activities. This specific topic is of course about the Australian Horse. Example: Tk - Bks - Air Force = Turkish Items, Books, Air Force which opens to a transcription of Ole Nikolajsen's book, Ottoman Aviation 1911 – 1919. This section deals with the various weapon systems employed by the various combatant forces during the various conflicts. Every item on this site has been thoroughly indexed, a process which occurs daily to list new entries. A search engine only works as well as the parameters placed in the search box. The wider the search term, the more results will be generated. The best hint is to be very specific with your search item. If you have a general term, firstly examine the sidebar to establish if a thread already exists which covers the search parameters. Using a term like "Beersheba" will produce many hundreds of entries since apart from hundreds of individual items, it is also listed on the sidebar as a thread and as such has its own table of contents. We are always open to suggestions on making such a scheme more logical and simple without sacrificing accurate content description. In order to navigate your way around the blog, every entry will be listed on the index page with a link to the particular post. The index is arranged to parallel the thread headers on the left side of your screen. The thread headers create discrete subject entities in which a particular area of history is logged. These entries are additionally layered into item headers and subtopics as and when the need is required. It is hoped that this addition will give your research experience greater depth. Hopefully this facility will fill in those other gaps.